When it comes to riding lawn mowers, the best zero-turn mowers are great as it gives optimal control when you mow. Even if your yard has obstacles, you can dodge it with ease using the zero-turn mowers. Not to mention, it’s more fun to ride compared to the traditional riding mowers that most homeowners are switching nowadays. First on the list is the Husqvarna z-turn mower. It is powered by the 26HP Kohler 747cc 7000 series v-twin engine. The 54-inch reinforced stamped steel three-blade mower deck makes it easy to control while riding. It also has an electric clutch deck engagement. Now you can mow in style with this all-new Z200 series zero-turn mower. It requires little to no maintenance, and even beginners will find it easy to use. The powerful engine can hold up to the cleaning demands of your lawn without breaking down. Note that it is not available for sale in California. 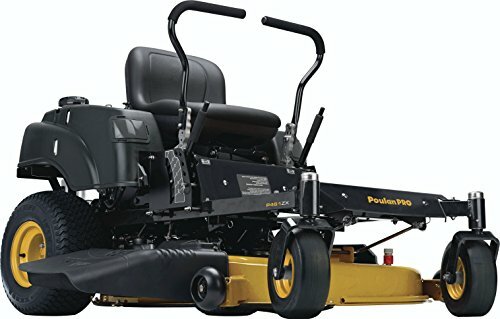 The Poulan Pro features a 46—inch steel guard vented deck, improving the air circulation of the riding mower. It also has a welded reinforcement bar that adds to its durability. Thanks to its dual EXT hydro gear transmission, rest assured that the operation is smooth and easy. Its sturdy and dependable 22HP V-twin Briggs and Stratton engine that features a ready-start ignition system. 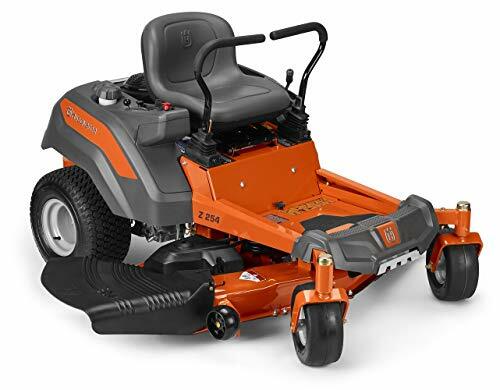 It also has an electric clutch that allows you to gain optimal control of the mower blades. This zero-turn mower is capable of mulching and bagger. The eXmark presents their zero-turn ride from their Radius E Series. It utilizes a 708 cc engine and 60 in the deck. The drive wheel release will allow you to move the mower even if the engine is not running. The spindle assemblies will require no maintenance at all. We also like its high back seat with padded foam seat cushion and armrest for a comfortable ride. There’s a safety switch in case of an emergency. And its foot-controlled deck lift changes cutting height and lift deck, moving around the obstacles with ease. 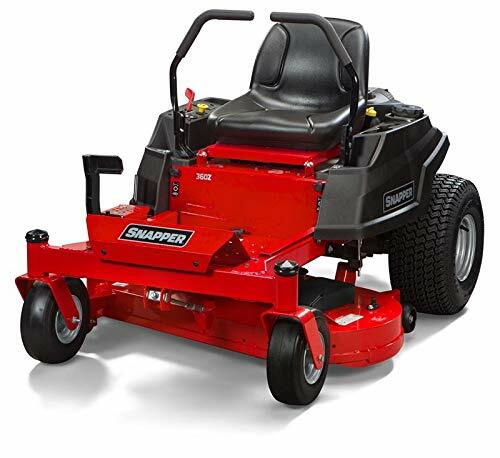 The Snapper professional zero-turn mower utilizes i23HP Briggs and Stratton 724cc professional series V-twin engine. It has a 42-inch FAB deck with twin blade. Carrying tools, mowing, and cutting tall grass has never been more comfortable with this zero-turn mower. It has a thick-walled front axle and easy to access maintenance points. The durable steel mower deck ensures hassle-free cutting time. Now you can enjoy its commercial-inspired features at an affordable price! Note that it is not available for sale in California. 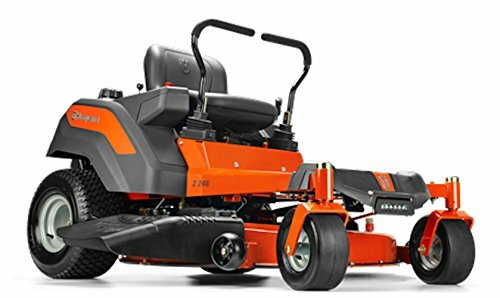 Another product from Husqvarna, we have the z-turn mower that utilizes a 23hp 747cc Kohler confidant engine. 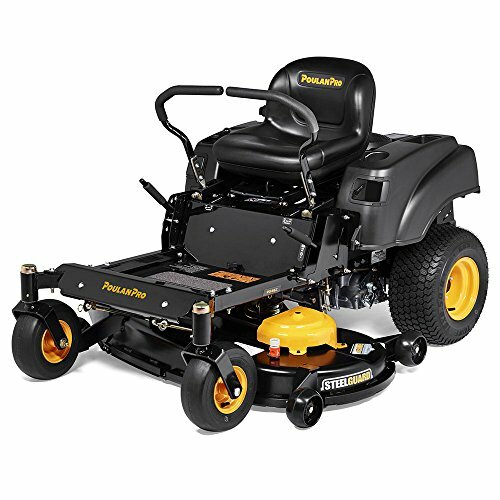 Its 46-inch reinforced stamped steel two-blade mower deck can hold even tall grass and makes cutting easier. It also features an electric clutch deck engagement. The unit is gasoline-powered and can last for an entire day of mowing with its powerful engine. Lawn maintenance is made easy with this z-turn mower that’s easy to use and requires little to no support in return. Note that this is not available for sale in California. 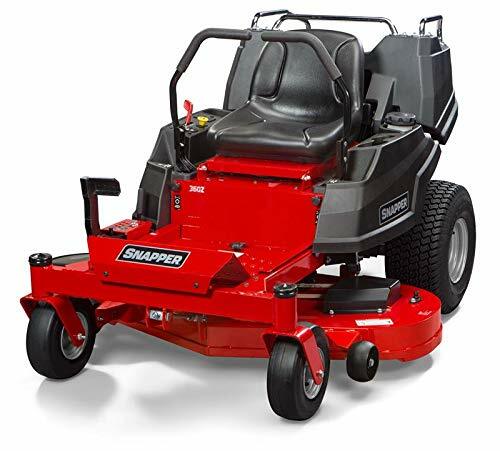 This sleek-looking zero-turn mower from Swisher prides itself with their new rapid response control system. It is powered by a 24HP professional series Briggs & Stratton engine. The 54-inch cutting deck with three gator mulching blades is everything you need for your lawn maintenance. You can use this z-turn mower for commercial purposes as well. It has hydro gear 2800 transmission. It moves eight MPH forward and reverses. The low center of gravity makes it easy to maneuver and avoid obstacles along the way. The composite fenders have a built-in storage, battery compartment, cup holder, and an hour meter. 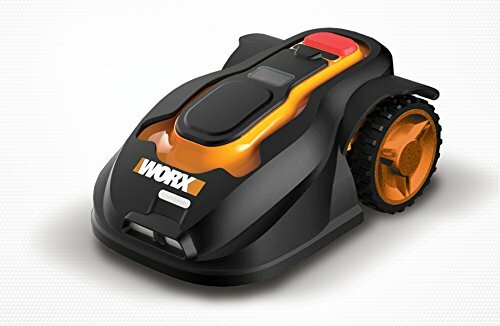 This z-turn mower from Worx is a landroid—the perfect choice for people who prefer to control instead of ride their mower. It’s fully programmed right out of the box. The minimal set-up is required, and it’s easy to use. This Landroid utilizes AIA technology to make intricate cuts and navigate around narrow passages. This unit can incline and decline up to 20-degrees. If it has no load, it has the speed of 2800/minute. It utilizes a shock sensor system to avoid obstacles along the way. Also, rest assured that it will automatically return to the base if it runs out of battery or needs for a recharge. We also have the Snapper Z-turn mower with a cargo bed. A 21.5HP Kawasaki 726cc V-twin engine powers it. 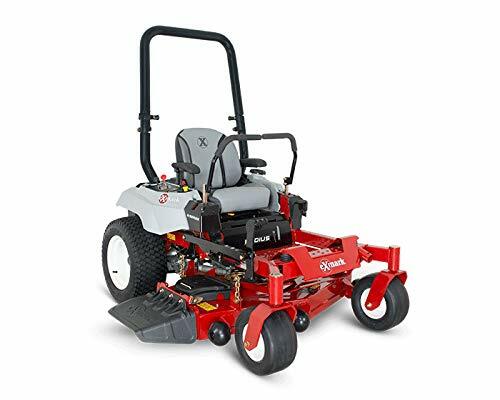 Its 48-inch FAB deck three-blade for easy cutting of tall and thick grasses. This unit also has a built-in rear cargo bed that can accommodate up to 50 pounds. It has a fully-welded steel frame, a thick-walled front axle, and easy to maintain. It is superior in durability so that you can use it heavily with confidence. Not to mention that this unit is easy to control and ideal even for those who do not have an initial experience of riding a z-turn mower. Note that this unit is not available for sale in California. Lastly, we have the Poulan Pro, powered by a 22HP Briggs V-Twin pro engine. Mowing your lawn in extended period is made possible by this z-turn mower. It has a 46-inch stamped reinforced deck with a 10-year warranty. Also, this unit has a hydro gear EZT transmission and an electric clutch. The 3.5-gallon fuel tank is more than enough for an entire day of mowing your lawn and achieving professional and perfectly-manicured lawn afterward. The user-friendly controls will make it easy to drive and avoid obstacles along the way. Previous articleSuper Nutra Review (UPDATED 2019) – Advanced Energy Production!